Dabinett - Cider Apple Tree £12.75 - Cider Apples - Bittersweet Apple Trees and Fruit Trees For Sale. Buy at competitive prices with wholesale discounts. Dabinett is one of the most popular and highly regarded cider varieties available. It is of vintage quality, with a bittersweet, well balanced and full bodied juice, often used for single variety cider. 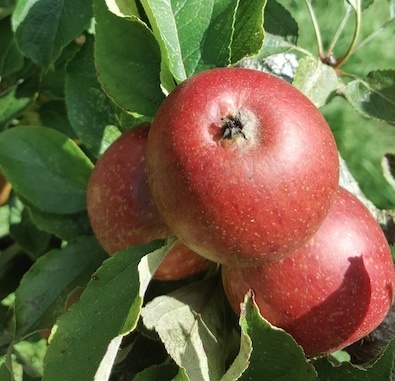 Dabinett originates from Kingsbury Episcopi, Somerset and whilst trees are usually small in habit and moderate in vigour, crops are regular and good. It has fairly good overall disease resistance and the hard and heavy apples will happily store before being pressed in November.